Total contact parts are of S.S. 316, and Non Contact Parts are of S.S. 304. No bottle No Capping system. 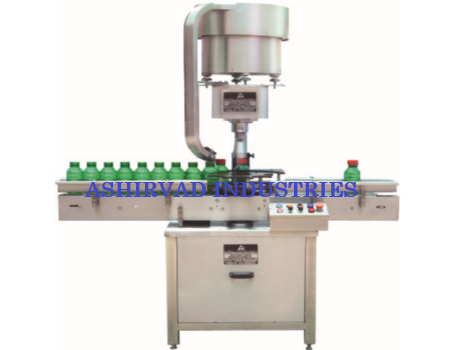 Production Speed 40 to 50 Bottles/Minute. Power Characteristics 230 Volt, Single Phase, A.C. 50Hz. Container Dia 22 to 65 mm. Container Height 38 to 120 mm. Cap Die 22 mm, 25 mm, 28 mm and 38 mm.